If there’s one inevitability that’s universal among most homeowners, it’s that you’re going to get tired of the way your home looks. Whether it’s the inside, the outside, the color of your home, the texture of your ceiling, or the way your furniture is arranged, everything gets old eventually. Getting a new paint job is one of the best ways to revitalize your home. But did you know that there are more benefits to getting a paint job than just changing the way your house looks? For most people, that’s the first priority, but a paint job becomes even more appetizing when you realize the additional benefits it can bring! As professional painters who serve the greater Lexington, SC area, we can assure you that getting your house repainted comes with the following benefits. So yes, most of the points in this list are about things other than aesthetic quality, but of course this is a point that can’t be ignored. For most people, it’s the main reason they call painters in the first place! You want your house to look good, and a new coat of paint does that. A fresh paint job can help your house in two ways—it can make your existing color look fresh and new, or it can give your house a new color entirely! There are a lot of reasons to go for a new color. Some neighborhoods, especially here in Lexington on the East Coast, are pretty old and have colors that feel…less than modern. Sometimes your house color is just fine, but you want something new to spice things up. The point is, one of the quickest ways to improve the aesthetics of your house is to get a new paint job. 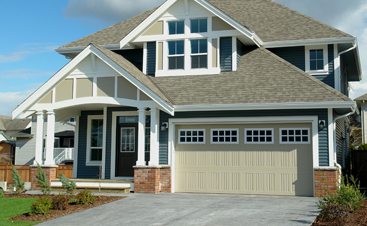 Here’s a valuable tidbit for you: a new paint job can increase your home value as much as 10%! Think about it—if you were shopping for a new home, would you rather choose the house with the crusty old white paint job that’s cracking apart, or the freshly painted clean home with modern colors? One of these is more appealing than the other. This is similar to the point above, though not strictly identical. Increasing your home value is a great way for you to make more when the time comes to sell your home, but the curb appeal is what will get people through the door. With a new and professional paint job, you kill two birds with one stone. When you have strong curb appeal, your house will draw more interested buyers, whether they’re passing it on the street, or looking at photos online. Okay, so maybe you’re not looking to sell your home and you’re perfectly happy with your current color. 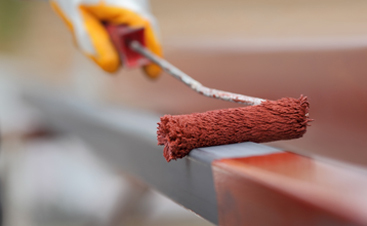 Don’t turn away yet—there are still benefits you can reap from a new paint job, and one of the most important ones is the protection that paint affords to your home. Your home, on a day-to-day basis, is exposed to a variety of natural elements. Your house is your castle, but it’s not invincible. What South Carolina lacks in snow and sleet, we make up for with nasty bugs and rainfall. Paint, as it turns out, can be a good deterrent for these things. When there’s a fresh coat of paint, it acts as a thin suit of armor that will keep things out. If you’re going to rely on paint to be the end-all protector of your home, you might be disappointed, but it does go a long way in deterring damage over time. 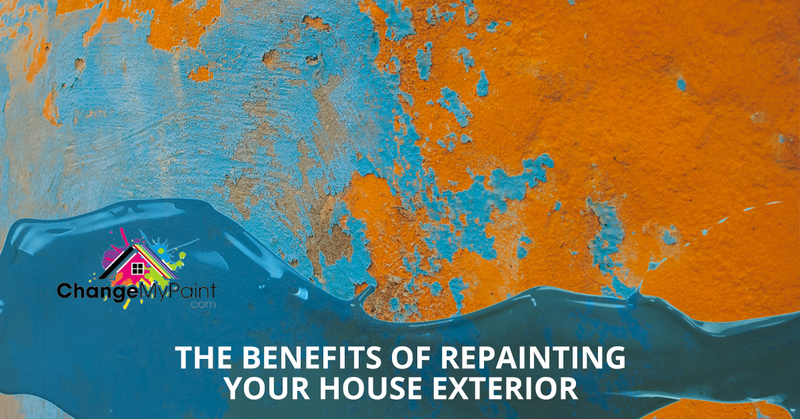 When it comes to revitalizing your home, there is no doubt that a paint job is the best way to get the most mileage out of your money. There are plenty of ways to make your house feel new, and almost all of them are more expensive than a paint job. Installing new floors or remodeling your interior? Prepare for your wallet to get a lot lighter. When you call professional painters, you’re spending relatively less than most renovations, and getting a house that can feel totally new. You’d be surprised at how far a new paint job can go. At Carolina Paint and Pressure Cleaning, our mission is to serve everyone in the greater Lexington area with spectacular paint jobs and unparalleled customer service. If your South Carolina home is starting to feel old, we’ll help to give it a new lease on life. Contact us today for a free quote!